Ten years ago, the cinematic landscape for superheroes was quite different. While our colorful, costume-clad champions had already shaken off the curse of 1997’s Batman and Robin by that time, comics-based films were still considered one-and-done novelties, trilogies at most. Had things gone George Miller’s way, he would have already been filming Justice League: Mortal by then. As luck would have it, a one-two punch consisting of a three-month writer’s strike and a seemingly last-minute change of plans proved too much for even the League to handle, causing the film to be scrapped. It also didn’t help that at the time, no one else was actively gunning for a superhero team-up film, much less an interconnected film universe. Previous efforts to showcase superheroes fighting side-by-side on the silver screen amounted to nothing more than cameos that never materialized and a few blink-and-you’ll-miss-it references here and there. And then came Iron Man, an unexpected success that only needed a 40-second afterthought to change an entire genre forever. Now, the 19th film in the ever-popular Marvel Cinematic Universe (MCU) has finally arrived: Avengers: Infinity War. For avid moviegoers who spent the last decade sitting through hours of Scandinavian myth, super-soldiers, space shenanigans, sorcery, and even a second Spider-Man reboot, this is it. This is the big payoff, where all the carefully laid pieces of this multimillion-dollar puzzle finally come together to bring us a cinematic experience like no other. One of the biggest questions about Avengers: Infinity War was how directors Joe and Anthony Russo could tell a cohesive story with more than 20 protagonists, many of whom have headlined their own respective franchises. Is it really possible to give all of these characters adequate screentime (and more importantly, something significant to do) within the span of just 2 hours and 40 minutes? Or would characters like Mantis and Wong be relegated to playing poker in the background as the Hulk and Thor smash their way to the ending? Somehow, incredibly, the Russo brothers managed to do it. (I suppose their experience in directing Captain America: Civil War helped tremendously.) No character in Avengers: Infinity War feels superfluous or forced into the narrative. Each has a specific role to play, given their unique abilities, objectives, and attitudes. This isn’t a messy, directionless ensemble production where one character could easily replace somebody else. Or at least, it doesn’t feel like it. Without truly giving anything away, it’s obvious that the Russo brothers put quite a lot of thought into which heroes and villains to include in the final cut. That said, the movie does end up feeling a bit too bloated and busy at times, especially during the big battle scenes. That’s not to say, however, that either the story or the production is problematic. This is probably just an unavoidable obstacle when attempting to tell a story of this scope and magnitude. Hell, even comic books struggle with this from time to time; just ask anyone who has read Infinity Gauntlet, the story that partially inspired this film. I say “partially” because Avengers: Infinity War is anything but a direct adaptation of any existing story. This shouldn’t surprise anyone, since making a direct adaptation was probably the last thing on the directors’ minds. (This also kills the argument of comic book elitists who think that only the folks who’ve read the source material have the right to enjoy these films, which in my opinion is a stinking load of bull.) Sure, you’ll recognize a handful of scenes and story beats from the comics, but that’s about it. If you think you already know what happens in this film based on the stories or fan theories you’ve read, there’s a good chance you’re wrong. Now for the next question: Does Avengers: Infinity War live up to the hype? Some have said that it doesn’t. According to a few film critics, the film lacks substance, has quite a few plot holes (which translates to “Why didn’t x character do things the way I, the omniscient moviegoer, would have done?” about 85% of the time), has “high” but ultimately irrelevant stakes, or gets crushed under the weight of everything it tries to accomplish. And to all of that, I say: Did we seriously watch the same film, guys? Barring any complaints about the aforementioned “plot holes” or wonky science — because honestly, when you’ve suspended your disbelief enough to accept a potty-mouthed, pistol-wielding Procyon lotor trading barbs with a walking extraterrestrial tree, you should already be way past nitpicking — Avengers: Infinity War actually does deliver. It isn’t perfect, but it certainly fulfills its mission, and it does so with great efficiency and emotion. Yes, one can argue that given what we know about Marvel’s future plans, it’s hard to believe that 100% of the events that transpired in this film wouldn’t be eventually resolved (or even undone). After years of enjoying various works of fiction, we think we’ve danced this dance before, or at least something similar — and for some of us, that’s enough reason to deduct some points from Avengers: Infinity War‘s scorecard. Subcribing to that argument, however, means missing the point entirely; these films aren’t so much about the destination as they are about the journey. And as far as journeys go, Avengers: Infinity War is a doozy. Not even the staunchest film critic can claim, for instance, that what Avengers: Infinity War accomplishes has been done by another Hollywood production before. Without going into specifics, the film provides a solid conclusion — with grievous and very real consequences — to a story ten years and 18 films in the making. No amount of caffeine-fueled, childhood-hating cynicism can deny that. Perhaps the best character in Avengers: Infinity War is none other than Thanos himself. Josh Brolin pours emotion, power, and gravitas into his portrayal of the Mad Titan here, which is impressive for an antagonist done completely in CGI. His motivation and methods notwithstanding, it’s impossible to completely hate him. Far from being a one-dimensional, villainous caricature, he is a truly nuanced character, even bordering on sympathetic at times. He joins the ranks of Spider-Man: Homecoming‘s Vulture, Wilson Fisk from the Netflix Daredevil series, and Black Panther‘s Killmonger as one of the most effective and well-developed villains in the MCU, if not the best. Then again, after years of building him up, it would be a truly unfortunate misstep if he turned out to be anything but that. Vivid visual effects, stunning fight scenes, well-timed quips (kept to a reasonable minimum here, for obvious reasons), the obligatory Stan Lee cameo, and a post-credits scene — yep, they’re all here. These are things we’ve come to expect from the MCU movies, after all. As they say, if it ain’t broke, don’t give it to Rocket. Or something. In this film, however, we get quite a bit more emotional mileage from the cast. Tom Holland in particular delivers a powerfully moving performance at a crucial point in the story. For a comic book film this jam-packed with characters and seemingly endless scene-switching, it’s a pleasant (and quite welcome) surprise. Comic book creators have mastered the art of effectively juggling and manipulating multiple characters and events to be able to tell narratives that mostly make sense. Call it an inherent advantage of the medium, but comic books have the unique ability to hold even the most tonally disparate sequences together long enough to reach a (typically) logical conclusion. That said, Avengers: Infinity War is perhaps the closest thing to a true “comic book film” that I have ever had the pleasure of witnessing. It is a death-defying box-office balancing act, pulled off by the Russo brothers with flying colors. To loyal fans of the MCU, this is an emotional and satisfying end to a decade-long chapter, leading to the beginning of a new one. For film enthusiasts, this is a fine example of what foresight, patience, and meticulous cinematic orchestration can achieve. To casual moviegoers who wonder why people still read comic books today, this is the only answer they’ll ever need. Realizing that the next Avengers film is still a year away makes me feel like this is going to be the longest wait of my life. Still, I think that now more than ever, it’s a great time to be a Marvel fan. You’ll have to forgive me, though, as I just couldn’t help it. If you haven’t seen the film yet and hate being spoiled, do not go back and read the first letter of every paragraph in this review, up to this one. Just don’t. Consider yourself warned — if you do, there’s no Time Stone-ing your way out of this one. Bitten by a radioactive writing bug, Mikael Angelo Francisco possesses the proportionate typing speed, vocabulary, and procrastination abilities of a science-journalist-slash-pop-culture-essayist. 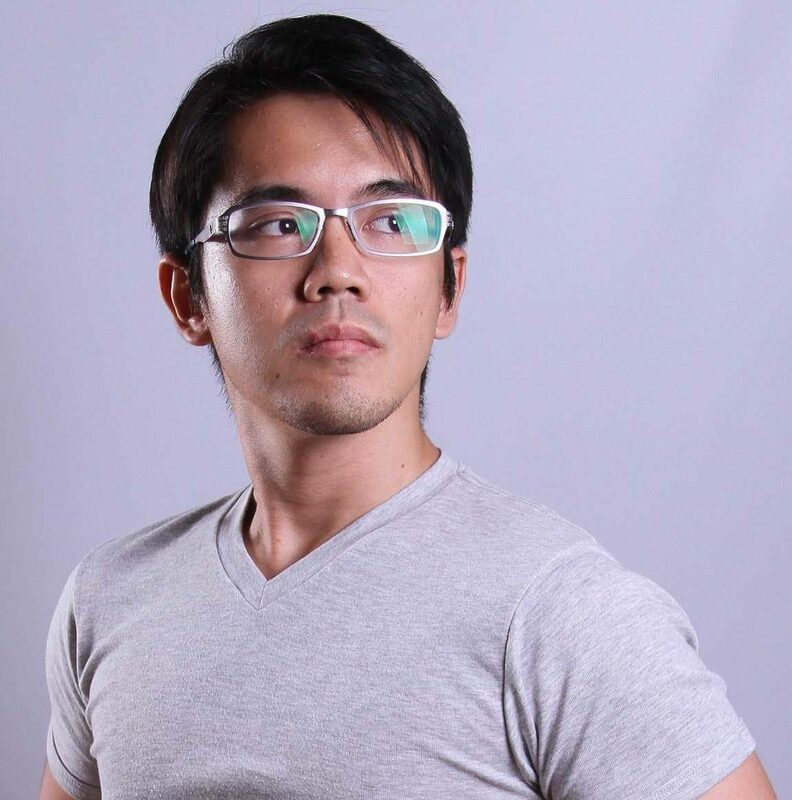 Read his musings on comics, films, and pretty much everything else on MikaelWrites.com, and enjoy science articles for the curious Filipino on FlipScience.ph.